This year’s Wedding Season began for All Occasions Speciality Cakes on Friday 14th August, 2015. 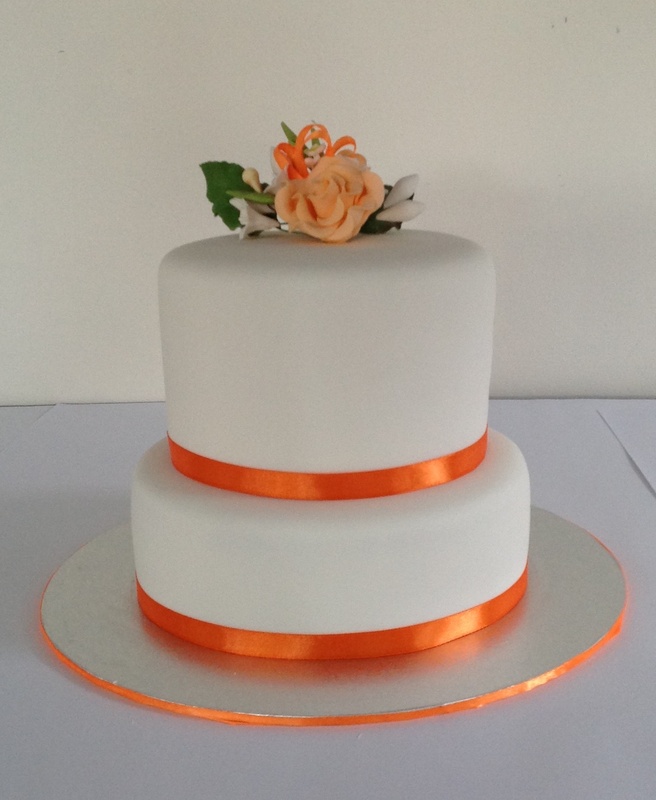 Such a delight to create a lovely two tier wedding cake at Biggera Waters featuring the colour orange. 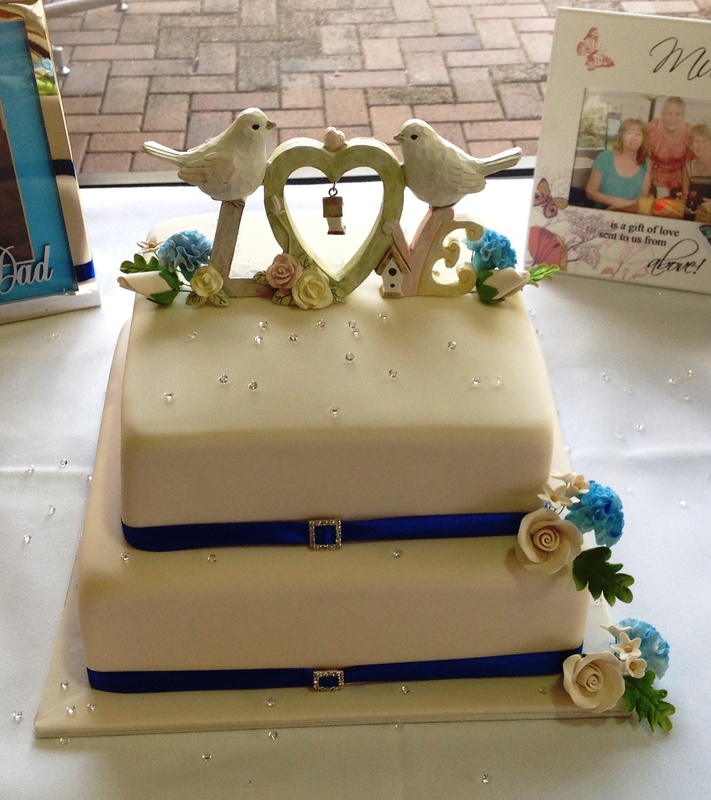 The next wedding cake was a two tier square wedding cake at Palm Meadows Golf Club, Carrara with ivory icing, royal blue ribbon, diamante square buckles and sprinkles, edible hand made sugar flowers consisting of white roses and blue carnations and fillers.